Our Greek composites are the highest quality at a smart price. Our composite boards are hand-crafted with an artisan’s attention to detail, made of high-grade woods and papers. 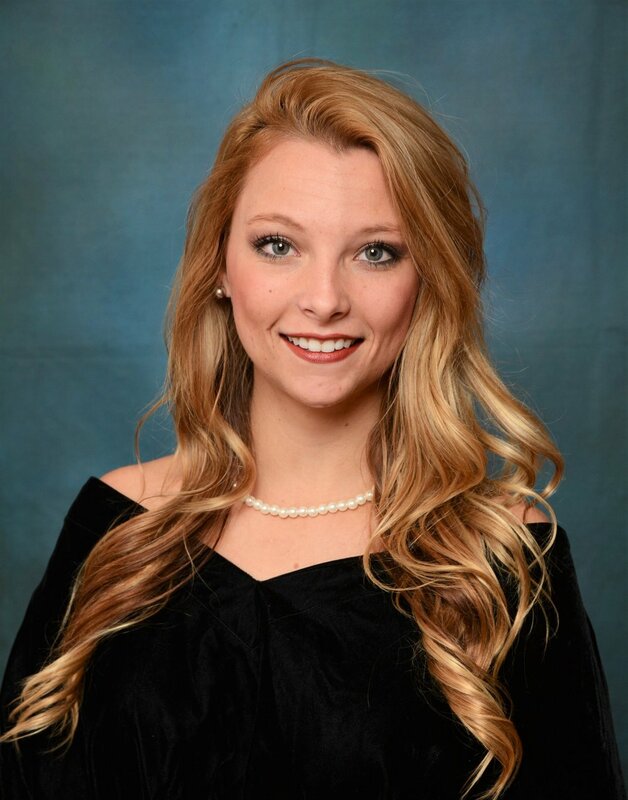 From the photography session to the board design, University Photo’s photographers and Account Managers will make your composite process simple and stress-free. No unexpected fees or surprise bills. We include everything you can think of to make each portrait perfect. That’s the secret of a great composite. Each composite board requires hours of work, and it shows. 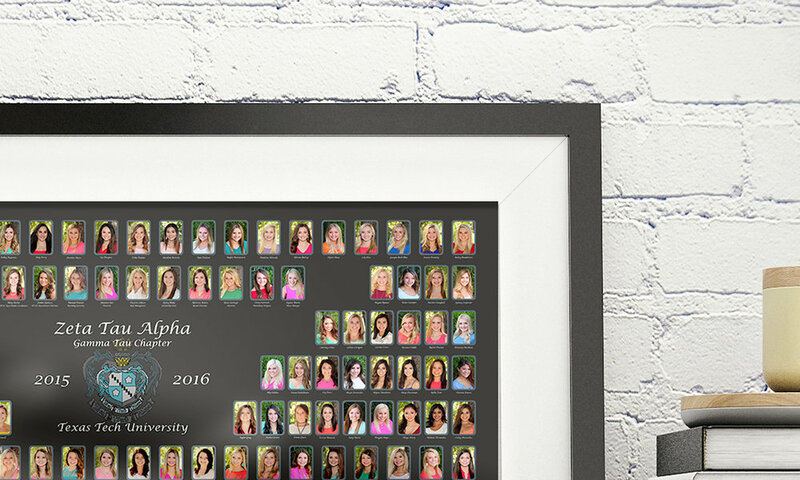 Each sorority’s traditions — and your chapter’s taste — are faithfully reflected with our large selection of frames, colors, and styles. And each portrait is perfect, because we’ll retake it as many times as you like until you’re 100% happy. 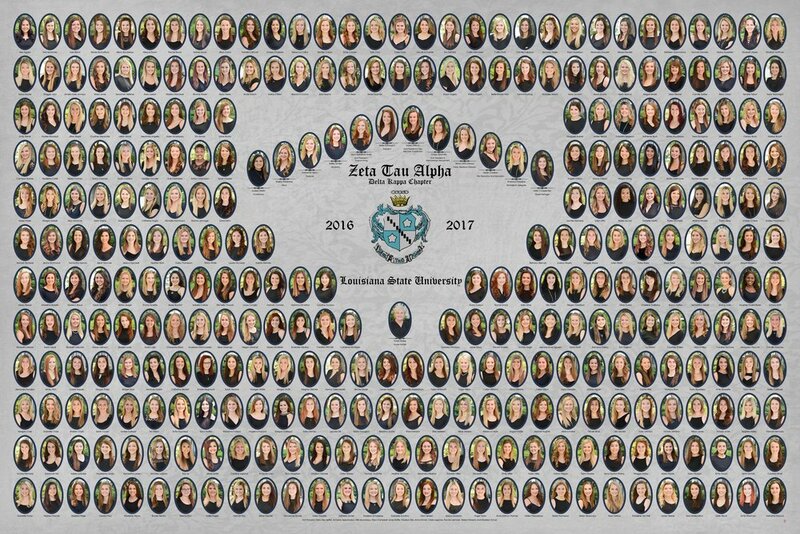 Save on both sorority Bid Day photos and Greek Chapter composite boards when you order both.